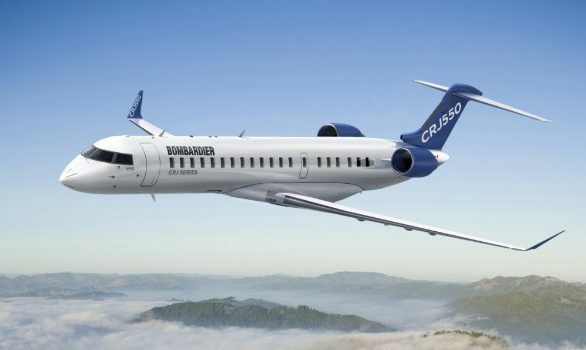 Bombardier has recently announced the launch of the CRJ550. The airplane is a new CRJ series airplane that will seat 50 passengers in three classes and will feature a new type certificate based on the successful CRJ700 model. The CRJ550 interior will feature a self-service snack station for passengers rather than a galley. The airplane will be able to leverage flight deck commonality with the CRJ200 and CRJ900. 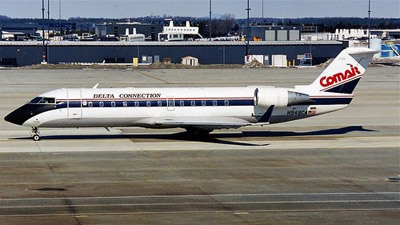 The first iteration of the 50 seat regional jet entered service with regional airlines in 1992. The Bombardier CRJ100 was designed to bridge the gap between short haul turboprops and existing single-aisle jets. The Bombardier CRJ200 and Embraer EMB145 were introduced into service in 1996. These smaller regional jets saw significant commercial success but were often being purchased in the early 2000s by airlines as placeholders for larger regional they they wanted but couldn’t use due to existing pilot scope protection limitations. 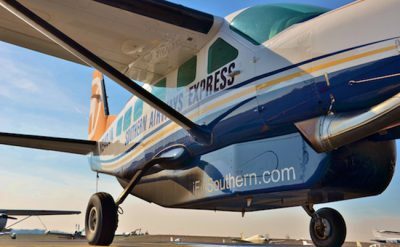 The smaller regional jets are aging with operators facing the challenges of having older and less reliable airplanes in their fleets. The smaller regional jets have shorter ranges and are more limited in takeoff and landing performance compared to the larger regional jets that were introduced later. Until the introduction of the Bombardier CRJ550 airlines had not had any new options for replacing 50 seat regional jets other than purchasing larger capacity airplanes which were often not permitted under pilot scope protections. Pilot scope clauses are agreements between pilot unions and employers which state which work will be performed by the represented pilots and which work can be outsourced to non-represented pilots. 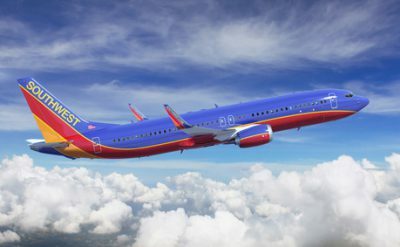 An airplane being flown by pilots not employed by that airline is limited to 76 passenger seats or less. 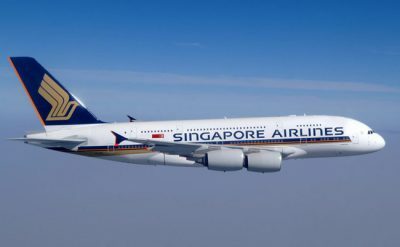 The total amount of airplanes with seating greater than 50 that can be outsourced is limited by agreements and is specific to each carrier. The maximum weight for an airplane being flown by pilots not employed by the legacy airline is 86,000 lbs. Some of the legacy airlines in the United States have had to alter or delay fleet plans due to being at the limits of pilot scope protections. That is, they are already outsourcing the maximum amount of airplanes larger than 50 seats. The legacy airlines have had to plan around the smaller regional jets that do not provide multiple seating classes and have higher operating costs on a per-seat basis. The Bombardier CRJ550 addresses some of the issues the legacy airlines have and provides them an airplane they can use to either grow outsourced regional flying or to replace the older regional jets in service. 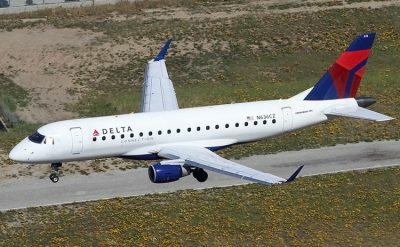 In service experience will show whether the CRJ550 can meet cost targets for each airline and whether the airplane will see success in the United States. United Airlines will be the launch customer for the CRJ550 variant with plans for GoJet Airlines to operate 50 of the airplane. GoJet’s goal is to have 25 CRJ550s in service by the end of 2019 with the remainder in service by the summer of 2020. CRJ700 airframes will be sourced from United Airline’s existing fleet for conversion with 25 of those coming from GoJet’s existing fleet. The CRJ550 will allow United Airlines to compete with other legacy carriers in regional markets while also staying within the limits of mainline United Airline’s pilot’s scope protection agreements. The CRJ550 order for GoJet Airlines looks to be growing the airline’s fleet. When an airline’s airplane fleet increases there will be a corresponding increase in pilot jobs. The ratio of new pilot jobs to additional airplanes varies but is typically 10 to 14 new pilots jobs for each additional airplane. GoJets Airlines was already hiring pilots before the announcement and will likely have increasing need for new hire pilots over the next couple years. The airplane order will have a positive impact on pilot seniority and quality of life for GoJet pilots.